The exhibition took place at the Concordia University Greenhouse in April of 2015 and was developed in the context of an undergraduate directed study, which is a graduating course requiring intensive research and the creation of a project. The exhibition space was divided into three rooms, corresponding respectively to these subjects: soil, industrial agriculture and permaculture. Each room hosted Alexandra’s artistic creations and contained an informative poster about its subject. The story Alice in Wonderland was used to create parallels between Alice’s adventures and the audience’s discoveries of our underground world. To follow the metaphor, each art piece was accompanied by an excerpt of the book. This introductory room hosted Dark Matter, a series of microscopic photographs of soil. The piece alluded to the shrinking of Alice, which provided her with a new perspective on everyday things. This room gathered the pieces that related to industrial agriculture and its harmful impacts on soil. 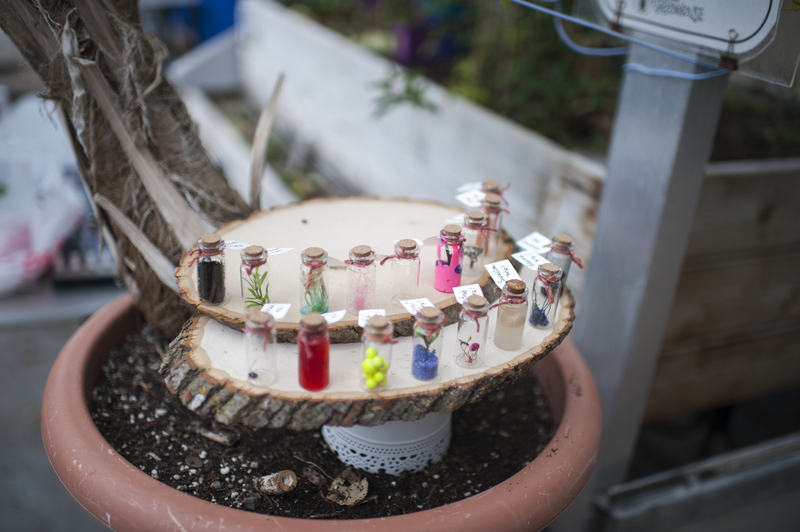 The first piece, Poisonous Solutions, was inspired by the bottles Alice finds throughout the story, and makes reference to the damaging effects of synthetic pesticides, insecticides and fertilizers commonly used in industrial agriculture. Influenced by Alice's uncontrollable growing inside the rabbit's house, Food Giant represents giant food corporations and their reckless behavior towards natural resources, including soil. Finally, the common appearances of mushrooms in the book gave birth to Fungus Monosculpture, which alludes to monoculture, one of the most harmful practices for the soil ecosystem. Biodiversity - Alice's Garden, stemmed from the desire to reconnect with the process of growing plants and the value of our food. 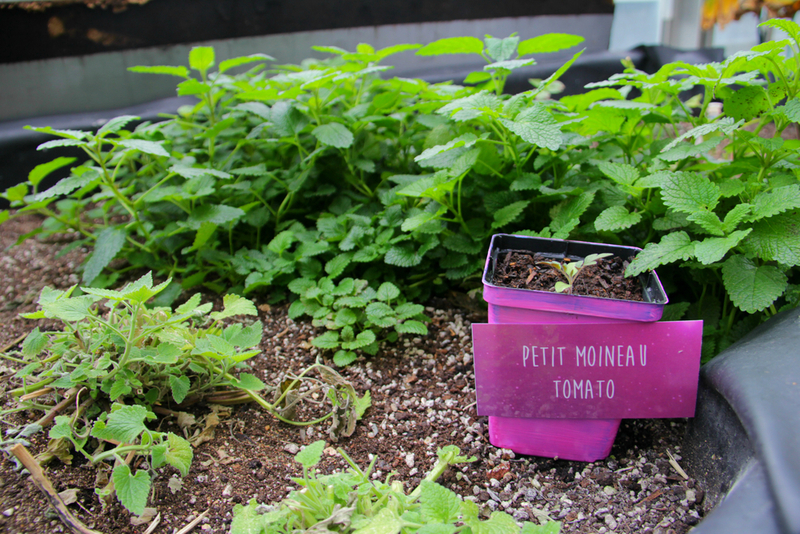 The following edibles were planted at home, nurtured as seedlings, and then transplanted to a garden: tomatoes, beans, carrots, beets, radish, garlic, coriander, spinach, Swiss chard and mushrooms. As a whole, the green room created a metaphorical parallel between Alice’s paradisiac garden, permaculture and the advantages of biodiversity. 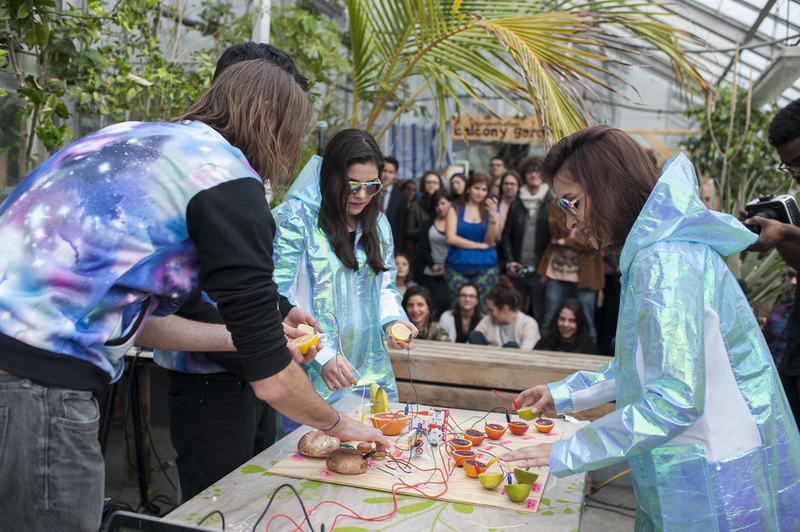 One of the highlights of this project is the performance Organic Alchemy, which took place as the opening act for the exhibition. 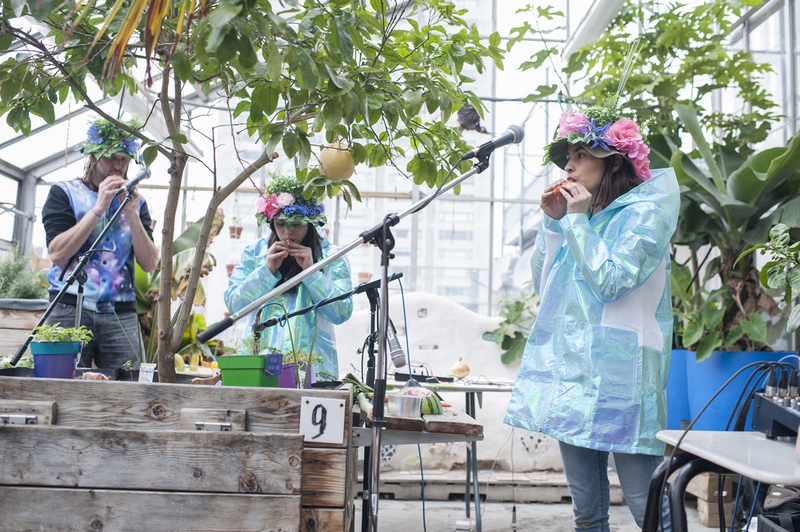 This vibrant performance consisted of using fruits and vegetables as acoustic and electronic musical instruments. Interested in more juicy music? Check out Organic Alchemy. One of the main goals of this exhibition was to bring members of the Montreal community together and create links with interesting places that offer alternative products, services, activities and learning opportunities. This was possible thanks to the sponsors that supported this project: Concordia Greenhouse, Eco Loco, Compost Montreal, Miracle Farms, Les Jardins de la Montagne, Urban Seedling and Sustainable Concordia. This project was about creating magical moments that sparked informed conversations. It was about encouraging the blooming of conscious minds that appreciate soil as a living universe crucial for our survival. It was not about finding the perfect solution, but about motivating the beginning of both a personal and communal quest for living habits that work in harmony with our ecosystem. To mother earth, wise giver of life.